Today, I got an opportunity to review an interesting App that isn’t for everyone, but if the right user downloads it, it will work like a wonder. 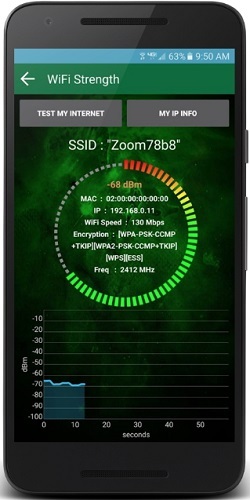 Yes, it is Wifi Analyzer android application, with first impressions it may be bit intimidating – not as much as I wagered that it might be an App specifically tailored for ISPs in order to troubleshoot wireless networks. But if you are an android geek who likes to play with Applications, then this App would surely be a very handy way to manage your Wifi networks. Wifi Analyzer, as the name is pretty self-explanatory and needs no introduction thereby. 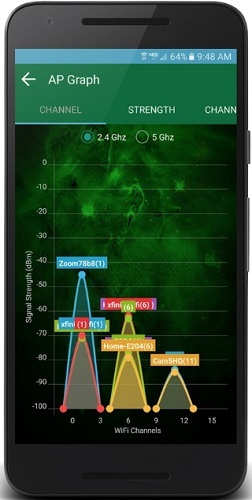 When you open the App, a screen shows the analyzing strength of your current wireless connection. If you are not much technical then you won’t understand what -90 to -30 dBM means, but one the Brilliant Feature Of Wifi Analyzer is that you can quickly understand, what is gray depicts bad and green depicts well. If you look at the majority of the applications, there is a needle. If that needle is pointing to the right, then apparently it’s good. This screen is the one that provides you the clear idea of the strength of the network which you are using. 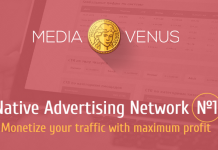 Once you do the right swipe, this App would show you the available networks along with statistics such as their SSIDs, whether they are locked or not and their signal strength. 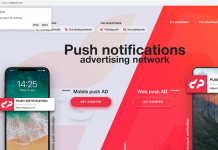 One of the features in this App will help you to enjoy your user experiences and meanwhile automatically connect to an open network. But you need an auxiliary app called “Wifi Connecter library”. This App is little technical as it totally related to Wifi and networking, so you should have some understanding of Networking terms. When I downloaded the App for my experience, I saw there are lots of features. First, I clicked on “Scan Network”, in few sec the Wifi network which connected my phone is scanned and MAC details have been shown. Later, I keep trying all the available options, I really amused with the features of Wifi Analyzer App. I thought I should go ahead and check all the features and share my experiences with my readers. 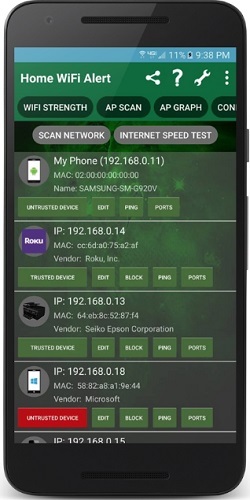 One strong part of this App is how it offers tons of networking features like, how one can analyze their Wifi strength, check IP’s, analyze established connections and monitor the channel strength as well. As I said, this App is full of technical terms, graphs, and complicated charts, but in counter, it gives an awesome experience for Wifi users who want to analyze their surrounding network with the best network analyzer. Apart from all these,this App will help you to identify the “dead zones” on your home network which may slow your Wifi speed, anonymous attack etc. In case, if you are a travel freak, you can check whether there are any open Hotspots in your surrounding or not. I’m sure, after your first use, you must be very thankful for this App which going to save your time and give the best travel experiences. Network Discovery :- With this feature, you can scan your network to check how many persons are connected. Once you have that information, you can choose names, custom icons. This would help you to build your own personal database of all connected devices so that you can quickly check and recall all those devices who were connected. Map Network :- According to Wifi Analyzer App team, they claiming to be the world first Network analyzer who offering Map Networking feature. So, what it basically means – In a very simple word this feature help you to Map your scanned results with graphical analysis. Since the human brain is more tending toward visual analysis of any tedious results, so this feature will give clear network mapping understanding. Wifi Strength :- This would make you feel like Pokemon GO players. Since it makes you wonder and find an exact location where your Wifi is giving best signals. It helps you to place your device over there for max Wifi strength experiences. Established connections :- Much like Netstat, this feature allows you to view all the IP Connections that are established to your devices. It also checks and find if they are in any blacklist databases or not. Afterward, it makes sure you are not infected with spyware and attackers. Wireless access point Scanner :- This feature scans every AP ( Access point ) and then shows you the least crowded Wifi connection. By this feature, you can quickly switch channels and thereby maximize your speed. Internet Speed test :- Wifi Analyzer App lets you check your internet speed to make sure that your operator is actually providing you the “High Speeds” as promised in their brochure. Traceroute :- Using this feature makes you feel very technical because it lets you visually see the path of traveling packets, right from hop points to the destined router. What I feel is that Wifi analyzer is one of the leading network analyzing android application that gives best experiences to Wifi users. As per my personal uses, I really amused with some features of this App like Network discovery, Mapping Wifi, Speed test from mobile and much more. So, I am personally recommending my readers to go ahead and download this Wifi Analyzer App, check all the features and share your personal experiences in below comment box.